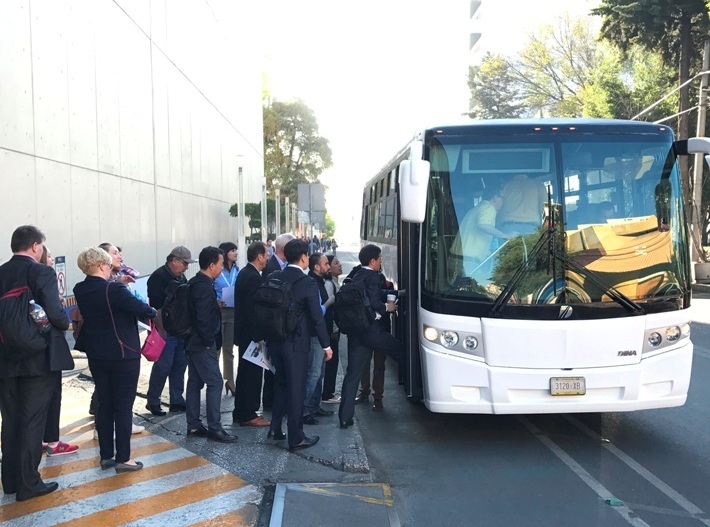 Altfuels Mexico 2017 taking place on 4-7 April at the World Trade Center of Mexico City began today with one of the most outstanding activities and “bonus track” of the event: the Technical Tour. This unique activity took place this morning at DINA’s facilities, Gold Sponsor of the event and present at the Expo with one of the largest booths, and has added value to the experience in Mexico providing the opportunity to know first-hand the company’s plant. Transfers from the WTC to the location were done with DINA CNG-powered vehicles. Technical Tour at DINA’s plant offered attendees the possibility to visit the new production lines, where CNG vehicles are assembled; distribution and feeding lines to the engine; refueling points and the compression and supply station. The activity was attended by more than 50 people from all over the world, including Mexico, Korea, Spain, Brazil, the United States, Argentina, Peru, Colombia, Germany, Poland, Russia and New Zealand. 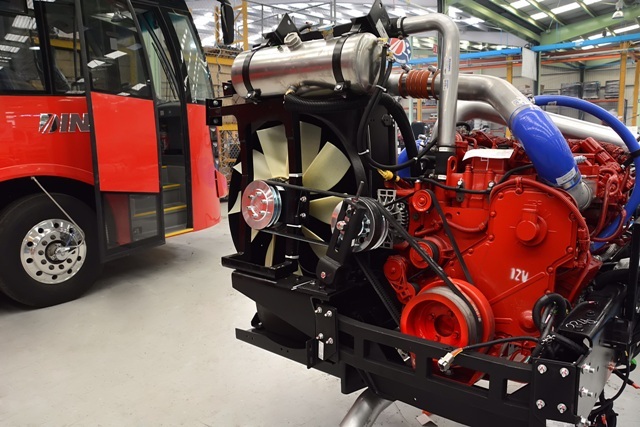 DINA is a recognized company in the local industry, with more than 65 years of experience and a sustained commitment to the needs of its customers, going from being a vehicle manufacturer to providing integral solutions for sustainable mobility. For further information, please contact: info@altfuelsmexico.com.